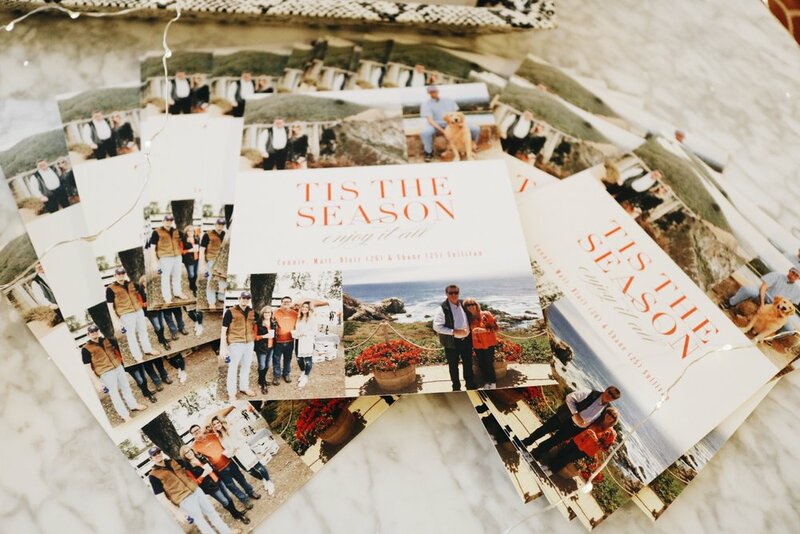 So as you saw in this blog post, I picked out some of my favorite holiday card designs from Minted! Since I am not married yet, I do not send out a holiday card of my own… would be a little weird to send out a card of just myself right? But then again, I do post a lot of pictures of myself… ;) haha! If you read my other blog post, you'll noticed I ended up not going with one of the designs I originally picked out as the collage one I loved didnt work with the photos my mom wanted to use. BUT we did find this other collage design and were equally obsessed! I loved the clean and modern design and the red type made it feel so fun and festive! 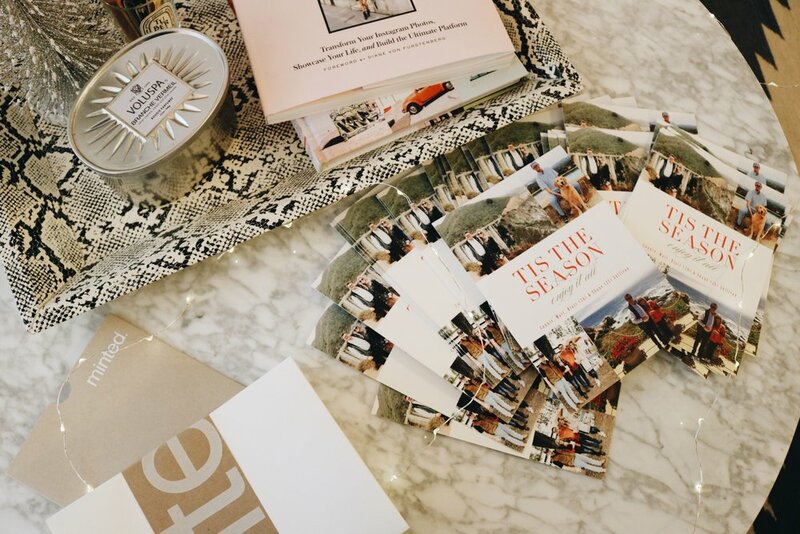 What I love about ordering holiday cards from Minted is that I know I will be receiving quality cards. There is nothing that annoys me more than flimsy card stock. I know, I know the thicker the card stock = the higher the price but there are only two things in life that you need to splurge on nice card stock: (1) wedding invites and (2) christmas cards! AND honestly, Minted is priced very competitively so you aren't paying an absurd cost for a good quality card. 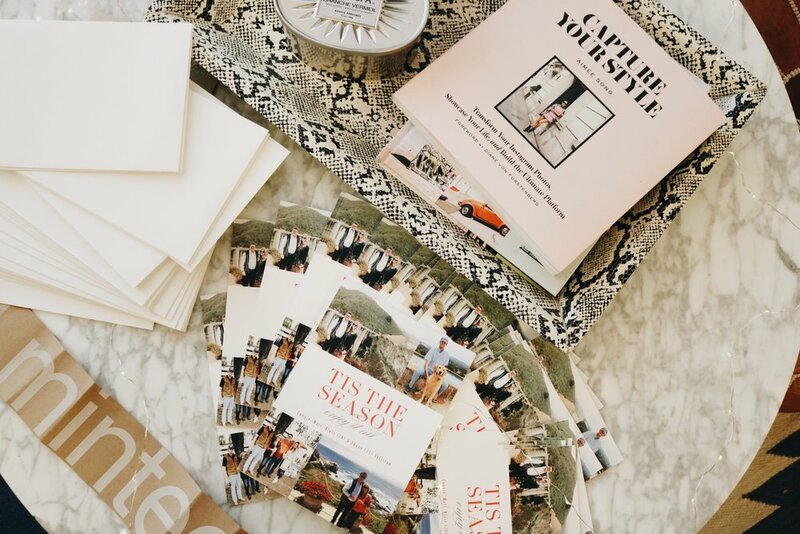 IN PARTNERSHIP WITH MINTED. ALL OPINIONS ARE MY OWN!